Gasping with excitement, you'll rock out to the song YOU pick before strapping in. And, it's all recorded on video. Edit your adventure into a music video, and buy a copy to take home or send to your friends. It's true high-tech, customizable, multi-sensory entertainment. 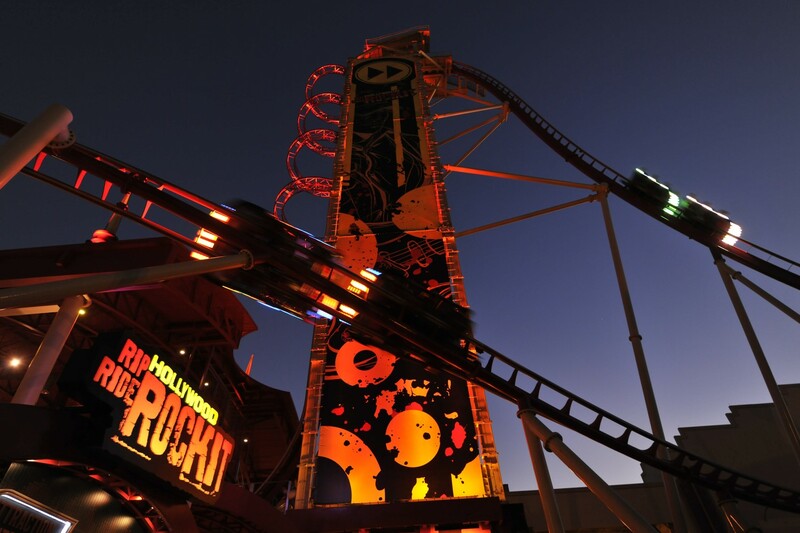 This groundbreaking combination of audio and special effects engineering, sophisticated on- and off-board video and one-of-a-kind personalization takes you on a coaster experience unlike any other. Orlando's tallest roller coaster also features several exciting, "never been done" elements, including the world's first non-inverting loop. Features a diverse selection of songs from five different categories of music. See the full list of songs below. While this attraction does offer a Single Rider Line, it is often incredibly slow-going, and can even be as long as the standby line. Also, without being allowed to take anything with you into the line, including your phone, you might want to go in a group so at very least, you have someone to talk to, to better pass the time. The first 30 seconds of this attraction are intense as you travel quickly up a 90 degree lifthill and tackle a non-inverted lift. The remainder of the attractions is fairly tame by coaster standards but the ride is certainly not suggested for anyone not familiar with coasters or thrill rides. 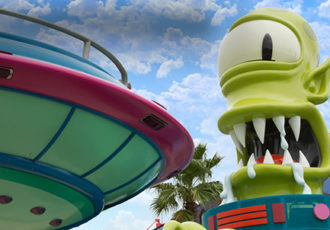 Reaches top speeds of 65 mph and towers 17 stories over Universal Studios Florida. Features six near-miss moments and first-ever thrills including a record-breaking loop. In addition to the official tracks below there are also around 100 hidden tracks. Hidden track listing listed below the official list.